We live in a culture that tends to paint everything right or wrong. You know that. But you might not have thought how this can be used as an excuse to avoid the effort of problem solving. Last time we talked about the winner/loser model that actually makes more new problems while attempting to submerge the old ones under a pile of aggression. This head-butting method can have any number of players, It generates a ton of energy but most of the energy goes up in flames without actually solving any problems. 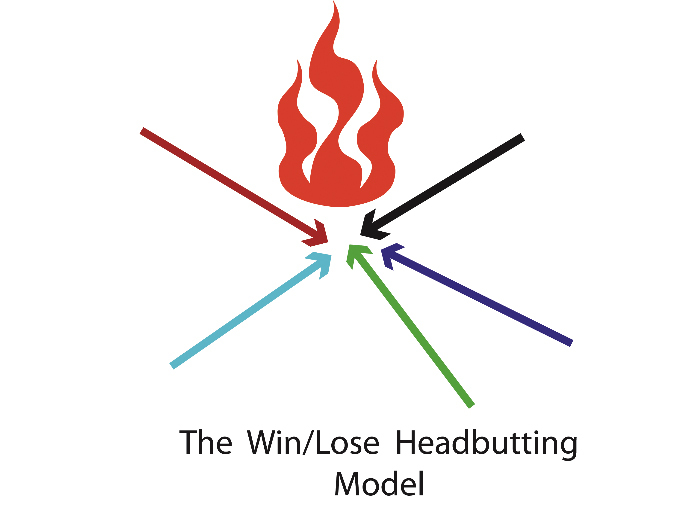 I have posted a diagram of the headbutting method on my blog, but I’m sure you could make one just as good or better. This brings to my mind the time I actually was headbutted by a sheep named Big Ben, who I thought was my friend. Actually, I think he was my friend, only we had different ideas about what friendship is. It hurt me, quite a bit, but I excused him because I know that sheep don’t spend a lot of time thinking about what they’re doing. I guess they can’t. But we can. If we really want to solve our problems. Today I want to talk about an opposite method of avoiding problems, and I’ll put that diagram also on the web site. It’s opposite in the sense that the arrows are all pointed outward, so nobody butts heads, but also no problem-solving energy is generated. 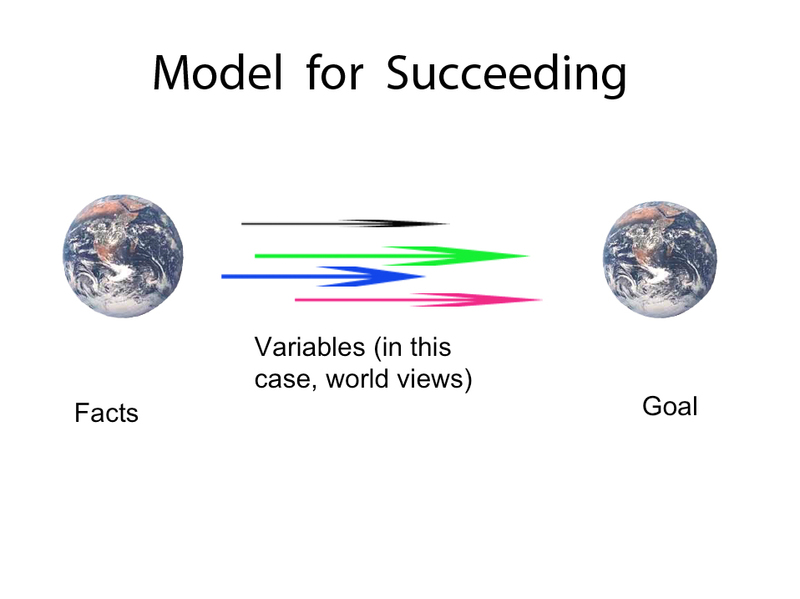 That’s what I call the California model, or the “I’m OK, You’re OK” model. That’s why we have a rule of law. The rule of law is not meant to provide everyone their personal freedom to do whatever he or she thinks is OK. The rule of law is more important than that. And it’s purpose is to provide us with our basic needs for a reasonable quality of life. To provide all of us with what we need, not to provide all of us with everything we want. I think many of our NGO’s have forgotten, in the blaze of heat they generate, butting heads over individual rights, that the rule of law is primarily meant to provide safe and healthy communities for all the people. Not to become enraged over this or that individual act, while ignoring that the ecosystem is burning up whole communities. 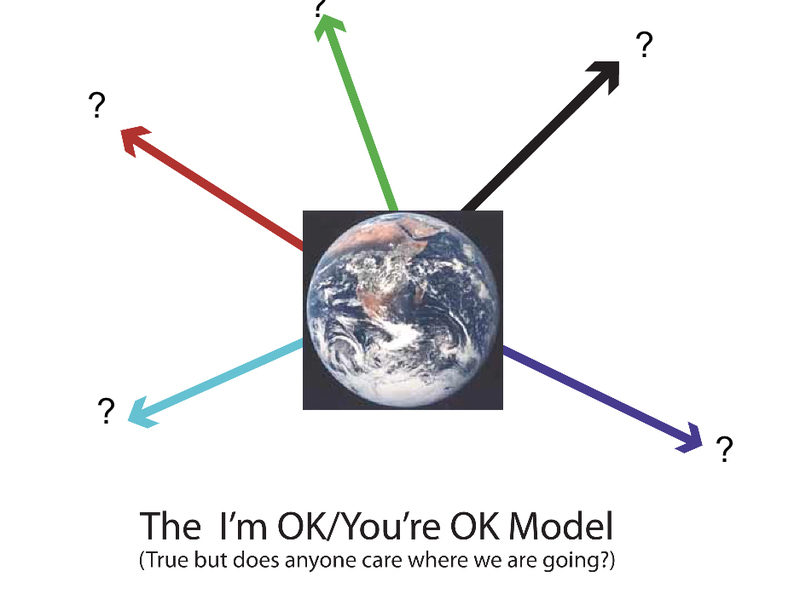 So what is the solution to the I’m OK you’re OK model for not solving problems? Discuss the issues. If you’re too afraid of other people in your own community to discuss the issues that affect the whole community, then our rule of law is already failing, isn’t it, and really the only way to get it back is to discuss the issues ANYWAY, even if you are afraid of the other people. Now – you know I do not mean to fight over the issues. I do not mean to stand over your own opinions with sword in hand and challenge all comers. How silly is that? Those are not the only two choices. There are a zillion possible solutions to every complex problem, and it takes time and effort to find one that will work. I mean, talk real issues and talk nice.